ONLY 83K ORIGANAL MILES FROM NEW. ONE OF ONLY 67 IN THIS BODY STYLE. This Splendid automobile will celebrate its 90th birthday on July 6th as it was delivered July 6th 1928. 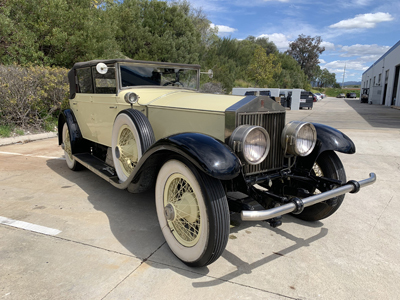 The Rolls-Royce New Phantom replaced the outgoing Silver Ghost in 1925. The Ghost would be a tough act to follow, having evolved over a nearly 20-year production run and regarded as the car that established Rolls-Royce as the world’s premier motorcar manufacturer. Given the Silver Ghost’s stellar reputation, it was wise for Rolls-Royce to take an evolutionary step in designing the New Phantom. The underpinnings were fundamentally a carry-over from the late, four-wheel brake Ghost, but with many refinements. Not that this was a bad thing, as the chassis had proven itself to be tremendously robust and capable of delivering a driving experience like no other motorcar on the market. The engine of the New Phantom (called Phantom I after the Phantom II’s arrival) was almost entirely new. The overhead valve inline six-cylinder displaced 7,668 cc and, the Ghost before it developed its power with remarkable smoothness and refinement. To meet the ever-growing demand for its products in the critical North American market, Rolls-Royce established a subsidiary in Springfield Massachusetts in December of 1919. Rolls-Royce of America Incorporated was set up in the former American Wire Wheel Company plant, and many of the highly skilled workers were retained to run the assembly line. 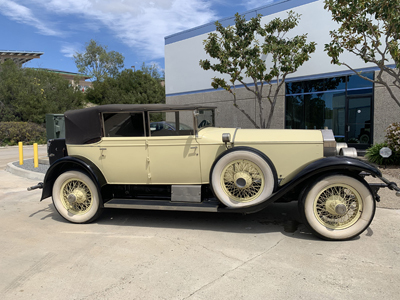 By 1926, Rolls-Royce of America had acquired Brewster and Company, one of America’s most prestigious coachbuilders. For the New Phantom, Brewster offered a series of 28 catalog bodies, the majority of Springfield (Left Hand Drive) production received Brewster coachwork. 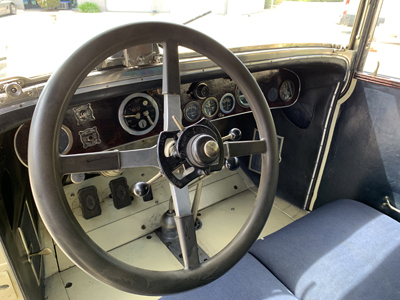 The all original 7.7-liter inline six is a beautiful piece of engineering, wiring, plumbing, and fixtures are original and in good original condition, It has had one repaint 30 years ago and overhaul the car shows a very nice original patina for the year. Vin Number S165RP.